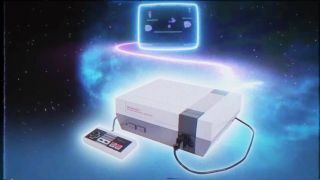 Nintendo's miniature NES Classic Edition is more than just a shrunk-down version of the beloved console with an HDMI port. According to Julie Gagnon, communications manager at Nintendo of Canada, it also features the ability to create save files for each of its 30 included games, as well as a variety of display options - including one that simulates the look of a CRT tube TV. Site Nintendo Everything has a translation of Gagnon's interview with a Montreal radio station: "What is interesting is that we can play through HDMI, but there will be different modes of how we will see the screen – a mode simulating the retro aspect of our old CRT screens, there will be a mode which can be at the resolution of the modern screens in 4:3 format, and a pixel perfect mode which will display each pixel as a square, so people can have fun with this too." That sounds like a nice feature for people who don't have the space or simply don't want to have a giant, heavy TV in their home but feel nostalgic for scan lines and a slightly warped image. Sounds like the only effect the NES mini can't produce is that nice burst of static electricity that tickles your fingers when you run them over a CRT screen. Mmm, tingly.